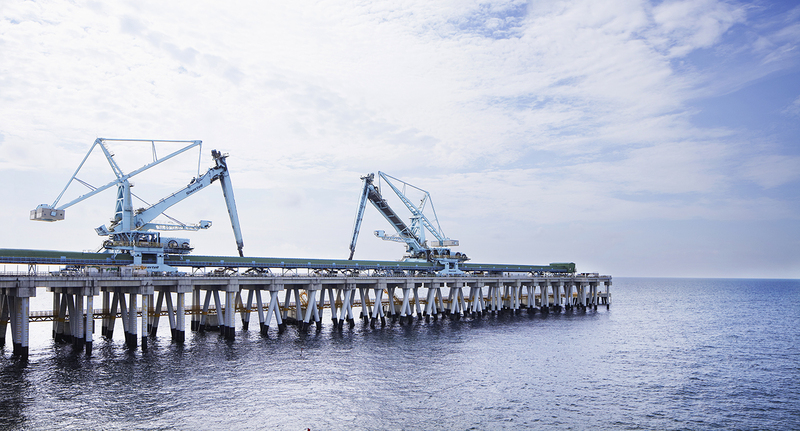 These two rail-mounted unloaders is the key equipment of this order and secure the coal intake for the Hsinta Power Plant. 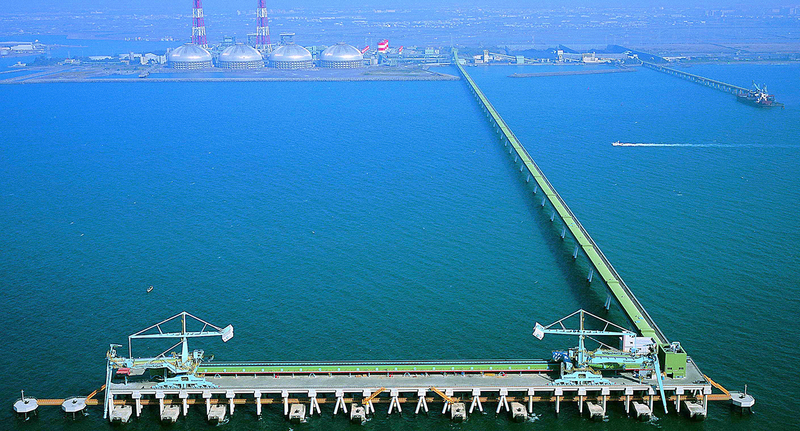 They are located on a jetty about 2km offshore and 17m above sea level. 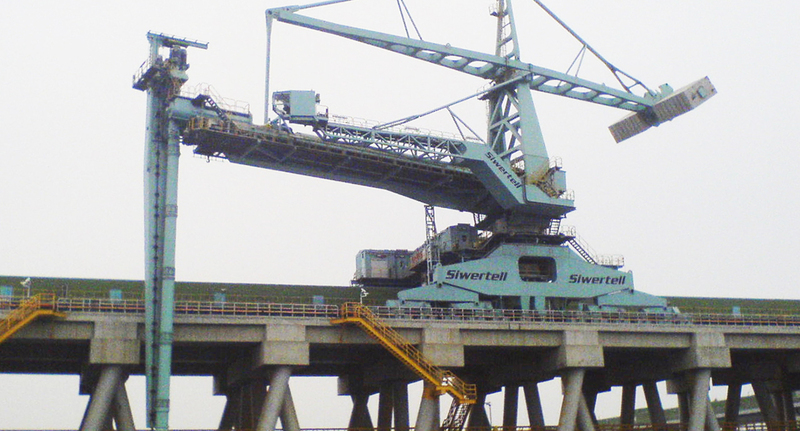 The Siwertell system was selected because it successfully met the plant’s operational requirements and tackled the extreme site conditions and technical challenges. Delivered in sections, major pieces of the ship unloaders were lifted into place from barges using a 1,500-tonne crane. 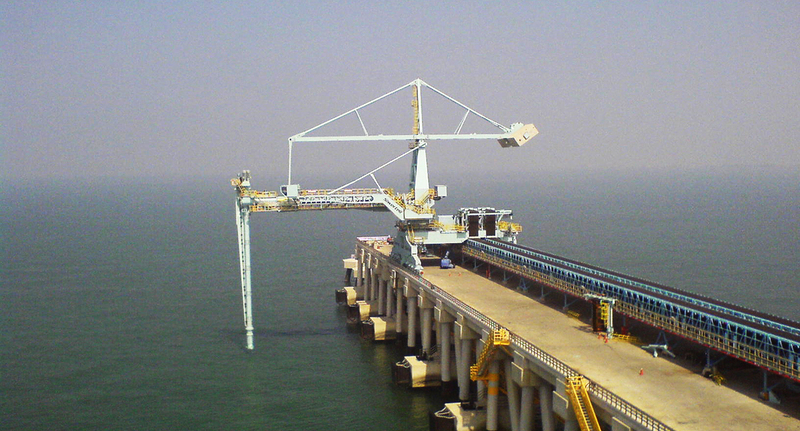 After successful installation and performance tests, the ship unloaders entered continuous commercial operation. All conveying lines, from the ship’s holds to the coal storage domes, are totally enclosed, which ensures that dust emissions are kept to a minimum and it eliminates spillage completely. Operation is carried out either from the operator’s cabin or via a wireless portable remote radio-control unit. Even when an operator uses the radio-control unit from remote locations, such as the hatch, full control of the ship unloader’s status, via a specially-designed information display, is maintained. Also installed are CCTV and PA systems that provide the power plant’s central control room a full display of the unloading operation. 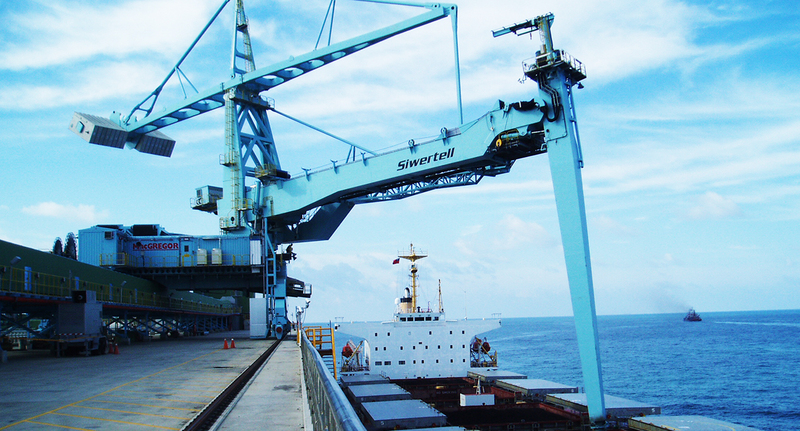 The ship unloaders are designed with the latest technology including a Siwertell anti-collision system (SACS), as well as a semi-automatic unloading program; all of which maintain a high efficiency unloading operation and keep ship turnaround times to a minimum.